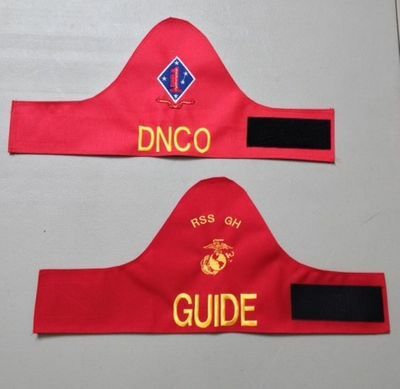 These Armed Forces Duty armbands and brassards are custom made and feature an embroidered design stitched onto a durable and washable polyester fabric. We have provided a link to Vanguards website. Please brouse thier product line and then come back and request a quote. We offer reduced pricing on thier advertised prices.